By the late 1800s, polka dot textiles had crossed the Atlantic and affection for the European design continued to steadily grow until 1926, when Miss America made her debut appearance in the media wearing a polka dot bathing suit. When Walt Disney launched Minnie Mouse in 1928 sporting a red and white dotted dress, it was clear the ‘pulka’ influence had reached new heights. Often quoted as being the ‘priestess of polka dots’, highly influential Japanese contemporary artist Yayoi Kusama has dedicated her life to making works emblazoned with dots. 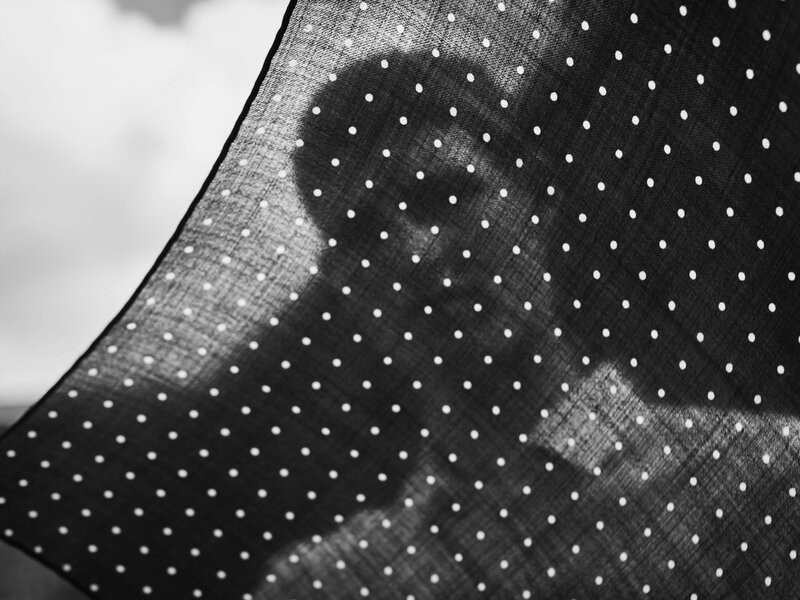 With a career spanning six decades, her paintings and sculptures have been exhibited in major galleries internationally and have undoubtedly inspired countless others with her use of the humble polka dot. Rei Kawakubo of the fashion house Comme des Garçons wholeheartedly emblazons entire collections with the design, whilst Margaret Howell sends demurely proportioned polkas down the catwalk most seasons in muted tones of cotton or silk. With endless variations in colour and size, the humble polka is undeniably adaptable. Printed or embroidered, their exuberance increases with brightness and scale. Oversized spots are often equated with youthfulness and fun, and are the perfect choice if making a bold statement is the main aim. For those aiming for something more timeless or classic, a full-stop sized dot offers the ideal solution. 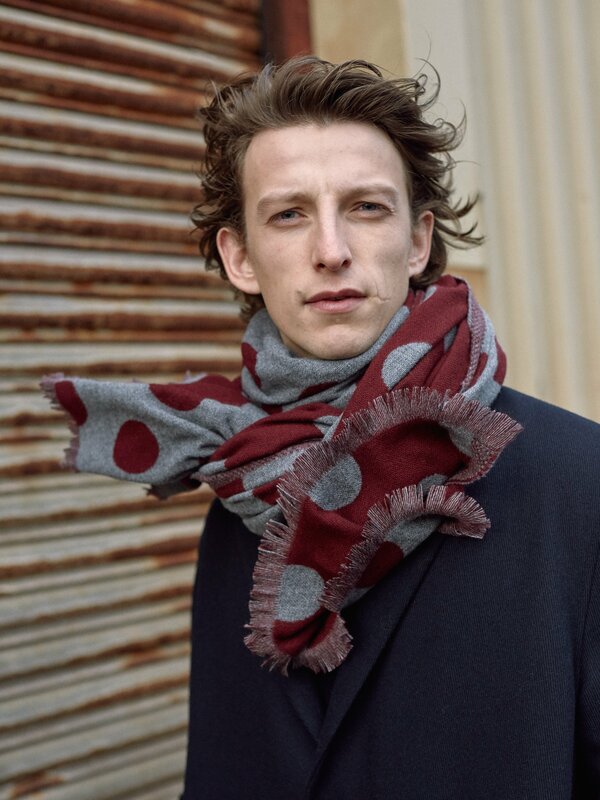 A simple pocket square, when worn traditionally or tied around the wrist, can provide the perfect opportunity for polka dot experimentation – a perennially sophisticated accessory, it’s a look that suits both sexes and all ages. 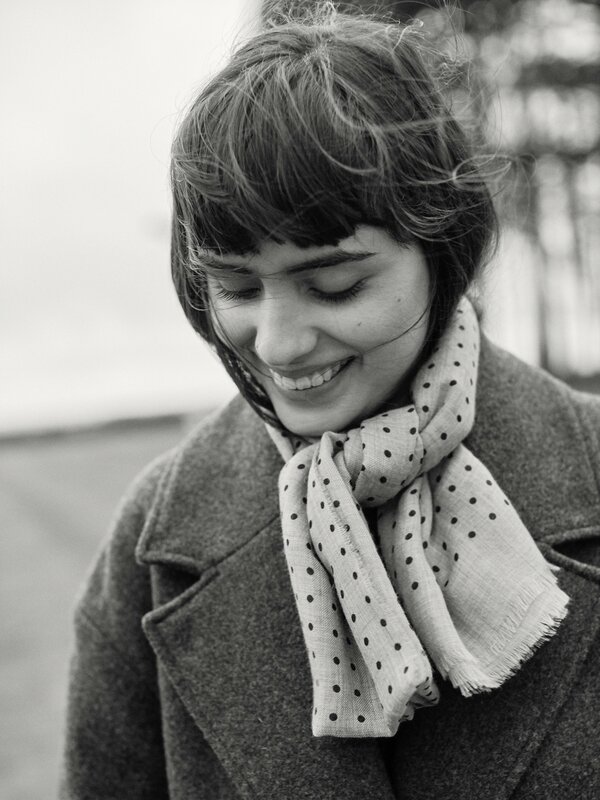 Scarves are the ideal way of incorporating the polka dot into everyday outfits, and effortlessly elevate otherwise neutral, basic items. Discerning and eye-catching in equal measure, they have the capacity to inject an air of unmistakable nostalgia. 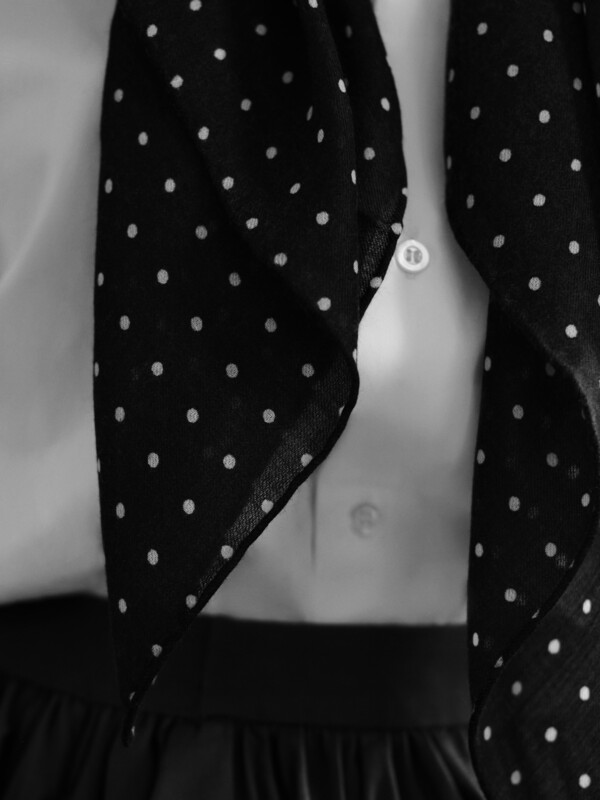 It’s been said that it’s hard to have a bad day wearing polka dots, and with something so uncomplicated and indisputably chic, no wardrobe is complete without them.